It is a place for students to work on their homework, reading or other projects in a relaxed setting. Children can work collaboratively and quietly to discuss their work. They'll be able to seek support from their peers and the teacher (Mrs Rose) and computers/Pads are available. All ages are welcome and you can join for as long or as little as you need. 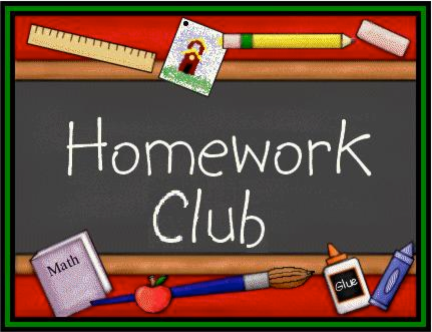 Homework club is on every Tuesday in Orange Class (Year 5) from 1.40pm- 2.10 pm. No need! You can come along as and when suits you!